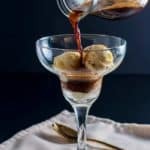 This simple but elegant Affogato, an Italian coffee dessert, is a showstopper! It’s so easy to learn how to make an affogato that it hardly needs a recipe. It’s so amazingly delicious, however, that I just have to share it with you! 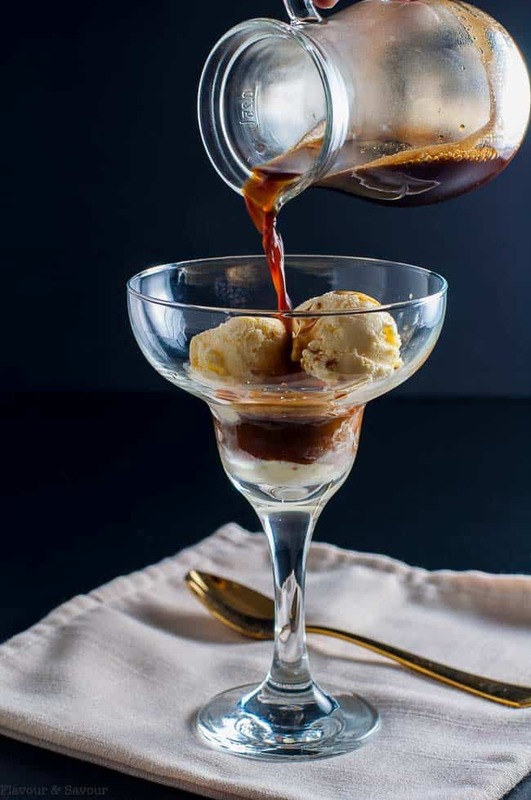 An affogato is an Italian coffee-based dessert. 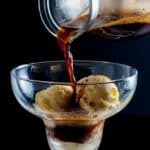 While Italians have enjoyed it for years at the end of a meal, it became more popular in North America as a beverage when Starbuck’s put Affogato-style Frappuccino blended beverages on their menu. Hot espresso poured over an icy Frappuccino made beautiful pockets of rich coffee as it mingled with icy coffee and cream. 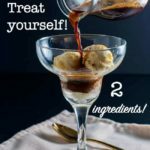 And you can easily learn how to make an affogato coffee dessert at home and customize it how you wish! All you need is good quality gelato or vanilla ice cream and some freshly brewed espresso. Affogato translates to “drowned” in Italian. 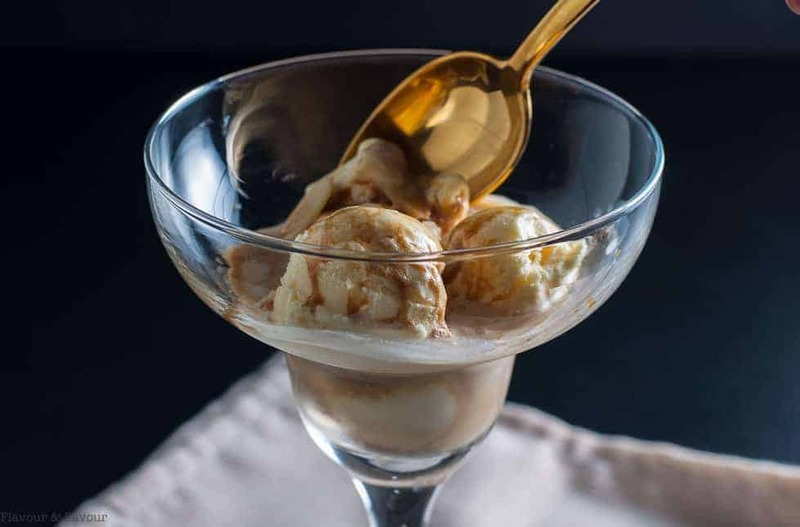 Drown a scoop or two of very cold vanilla gelato or ice cream in a shot of hot espresso, watch the swirls as it melts, and enjoy every spoonful of the simple but spectacular flavours for which Italians are known. While it’s the easiest dessert you’ll ever make, I have a few tips to make this impressive dessert extra special. Chill the dessert glass or mug. Make sure the gelato or ice cream is very cold. Brew the espresso just before serving. Either pour the espresso over the ice cream and serve immediately, or serve the espresso on the side and let your guests pour it on themselves. 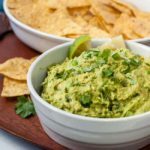 Garnish is optional, but try sliced almonds or other nuts, chocolate curls, or a shot of liqueur like Amaretto or other coffee liqueur. Of course, you can always customize this dessert any way you wish. Cool the coffee first if you don’t want your dessert to melt too quickly. 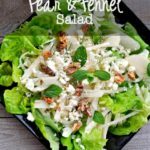 Add a little whipped cream on top and garnish with a few flaked almonds or other chopped nuts. The bittersweet flavours in this dessert stand on their own, however, and its simplicity is what makes it so appealing to me. A delicious dessert for coffee lovers! And if you love coffee desserts, check this luscious recipe for Creamy Ricotta Coffee Mousse. 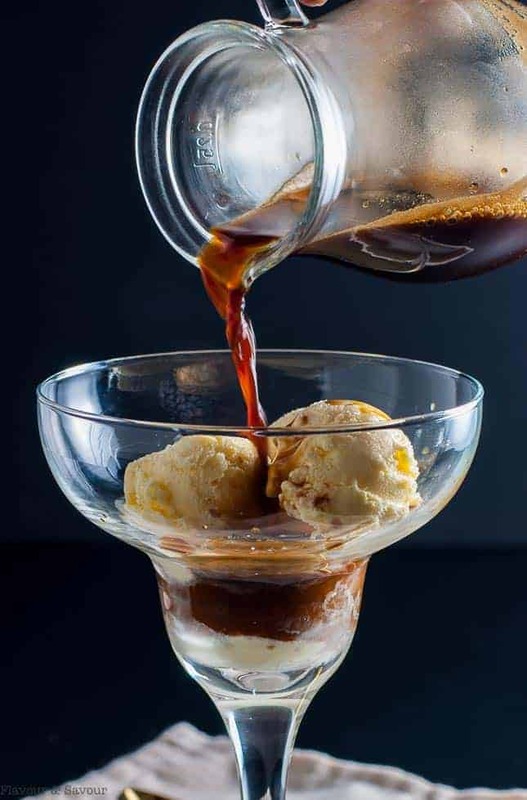 Drown a scoop or two of very cold vanilla gelato or ice cream in a shot of hot espresso, watch the swirls as it melts, and enjoy every spoonful! 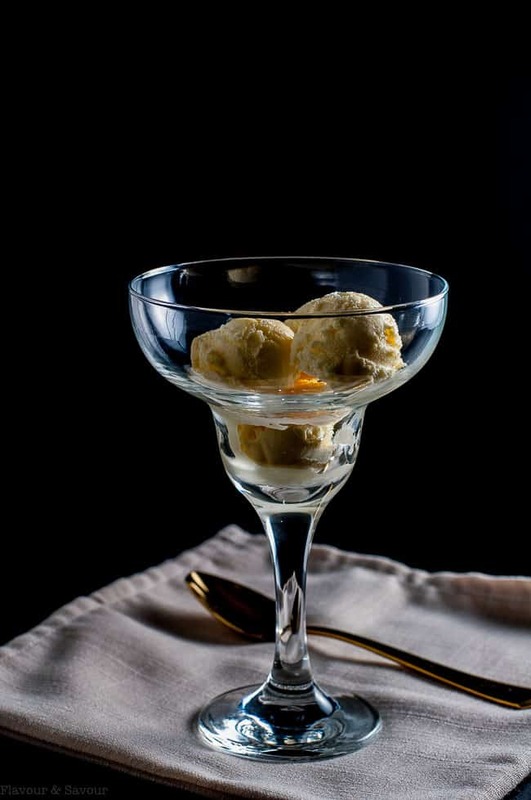 Put a few small scoops of vanilla ice cream or gelato in a chilled glass, bowl, or mug. Pour a freshly brewed shot of espresso or strong brewed coffee over and serve immediately. Garnish with nuts or shaved chocolate, if desired. Needless to say, we love affogato and had quite a few memorable ones. Your pictures are beautiful and your affogato looks fantastic. 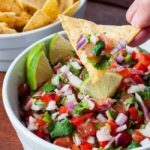 Great tips, as well! I like mine in a cappuccino cup, with just one scoop of the best gelato, so when it melts it creates a little ‘foam’ on top like a real cappuccino 🙂 . That sounds heavenly, and coming from the Italian “experts” I know it would be divine! This dessert has my two favourite things – coffee & gelato! 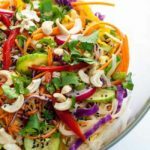 I love how easy this is to make and you’ve given some really great tips too! Thanks Lisa, Sometimes it’s hard to believe something so simple and easy can be SO good!! This looks so elegant Elaine, not to mention delicious! What a great after supper dessert for summer! Love that it’s fancy but no-fuss at the same time! It may be simple, but often the simple things are the best! 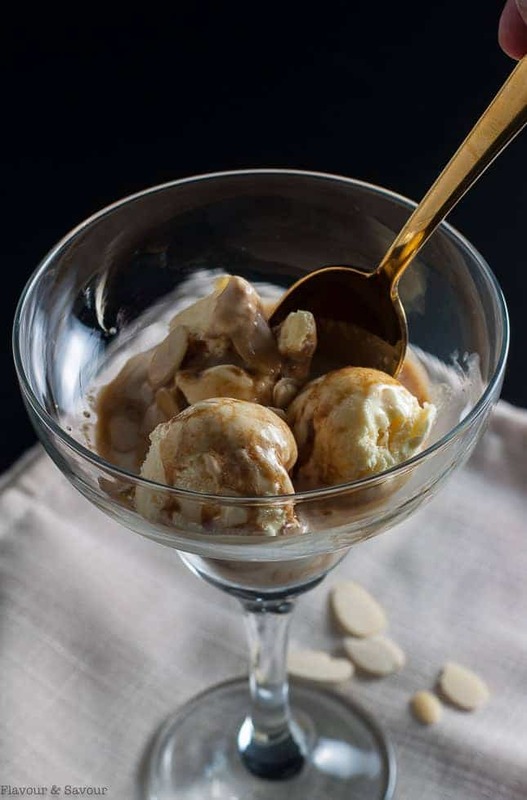 Love affogato as a summer coffee ending to a meal. Dessert & coffee all in one! Great photos & instruction. Um icecream with espresso poured overtop? Why has no one told me this was an actual dessert! I had no idea i was making a traditional Italian dessert all this time. But your right what’s not to like! We used to put a double shot of espresso in a rocks glass with coffee gelato and some Baileys as an after work treat on a busy night! Sounds like an ideal after-work treat to me! Oh my! SOOOOO good! We had this dessert after work on Friday. A great way to start the weekend! Isn’t it delicious? I like your way of kicking off the weekend!